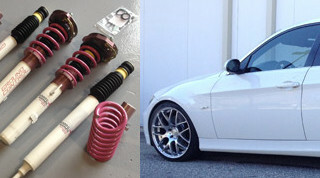 For all your BMW service requirements, why not stop by Ryan G. Motorworks, located in Placer County? Only a few minutes’-drive outside Sacramento, Ryan GMW is perfectly positioned for residents located within Roseville. 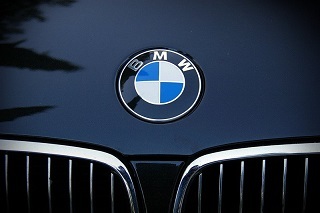 We are pleased to be the number one choice for BMW repair in Roseville. We Pride Ourselves on Being Able to Provide You with the Best Service in the Roseville Area! Ryan Gangemi, is a valuable asset to not only the BMW community but also Audis, Mini Coopers, and Porsches. His love for BMWs has grown throughout the years, and his quality of work, you can see it in every repair done. And even though his passion resides with BMW, he has also earned experience with other manufacturers. 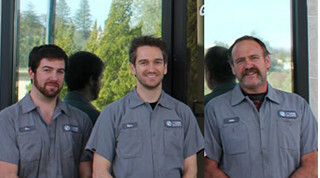 At Roseville, BMW mechanic Ryan Gangemi is the top choice for any service or repair you may need on your BMW. Throughout his career, Ryan has specialized in 30k, 60k, and 90k services. Ryan is committed to keeping your auto on the road and remain safe for you and your family. In addition to these services, Ryan G. Motorworks can perform brake work, timing component replacements, cooling system repairs and much more. Ryan and his trained technicians will be able to maintain and repair any you may be experiencing with your BMW. He will also give you pre-purchase advice. We paired our highly skilled technicians with an incredible 9,000 square foot shop. Our BMW repair shop houses seven lifts and mostly any tool needed for any job. Our shop allows us to handle more vehicles at a time, and what that will mean to our customers - a shorter wait time to have services and repairs done. Accommodating our customers is something we, at Ryan GMW, take pride in every day. Our customers are our top priority, along with performing the best service on one of their most important assets, their vehicle. When you visit our shop, you will feel right at home in the waiting room, and receive the best customer experience for automotive repair. We guarantee it. The key to keeping your BMW or German car running at its best performance is to have it regularly serviced. At Ryan G. Motorworks, we are proud to offer all the essential services to keep your car running. 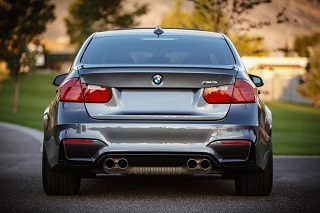 We also take pride in being the top choice for BMW repair in Roseville. Having a routine maintenance done is a part of owning a carhere is no greater service you can do for your car than keeping up with the mileage maintenance at 30k, 60k, and 90k. By bringing your car in whenever there is a problem or to have routine services performed you can avoid many costly issues from happening. Take for instance the braking system. With constant usage, over time your BMW will need its brake pads replaced. Ignoring signs of problems or forgetting routine checks could turn into a very serious issue if not repaired. By not having the brake pads changed out, you could warp the rotor or wear down the rotors requiring them to be replaced for the integrity of the braking system. Once the rotors are damaged putting new brake pads on won’t solve the problem because you’ll just wear down the new brake pads faster. At Ryan GMW we will inspect the braking system during your maintenance visits and notify you if we see anything that may need immediate attention. A car with a fresh air filter significantly outperforms a car with an old, worn filter. It’s just that simple. But in addition to performing better concerning engine lag, it will also net you better fuel economy. The reason being, your engine needs to breathe. When an air filter is dirty, the process of getting air is more difficult, causing the motor to work harder. If the engine has to work harder, it will use for fuel to compensate. Having a simple air filter change when required can improve fuel consumption, remove added strain on the engine, and even increase your horsepower. There are numerous reasons why you should not miss your scheduled maintenance appointment and replacing a dirty air filter is just one of them. More gas is used when the fuel injection nozzle is clogged. For this reason, having a fuel injection cleaning done is great for optimal performance of your engine. If an injector remains clogged for too long, it can have the potential to damage not only the injector but the motor. Regularly having your fuel injection system cleaning will allow for better fuel economy too, which no one minds having, especially given the rising gas prices. An oil change is vital for your engine’s life. Oil has a few purposes that help your engine run. The first is it helps lubricate all the metal parts. There are many metal on metal parts in your engine and without oil they will have a massive amount of friction causing significant wear. The second purpose is to cool the engine parts. While the cooling system keeps the motor at perfect operating temps, oil - because it lubricates parts, reducing friction will also cool them as it cycles. You may have heard a family member or friend mention that if there is one thing you do for your car it’s to have an oil change every 3k miles. While this is sound advice, most modern cars can go more extended periods of time between oil changes than 3k miles. However, it is best to keep to your manufacturer’s recommendations. An oil change will always be done during the 30k, 60k, and 90k services. Tires are a critical feature of how your car drives down the road and is the only part that makes contact with the road. When in good condition they aid in braking, help gain traction in bad weather, and are at the forefront of your car safety. During your service, we will check the tires for any signs of unusual wear, bulges, or signs that replacement is needed. Otherwise, a tire rotation is the next best thing you can do to extend the life of your tires and ensure they are wearing evenly. For example, let’s say you have a BMW that is rear wheel drive (RWD), the rear tires will wear faster because they are on the drive axle. But the front tires will still look in great shape, by moving the rear tires to the front, and the front to the back, you will allow the newer rear tires to wear down at the same rate. This service works with all driveline, front wheel drive, rear wheel drive, and all-wheel drive cars. During the 90k service, if indicated by the manufacturer, we will also change the spark plugs. We will also inspect and fill the transmission fluid, if applicable, and differential. Every service done for your car can help ensure it has a longer life and free of major problems. While we do specialize in the 30k, 60k, and 90k services, maintenance on your BMW doesn’t stop there. Having all the services performed for the scheduled maintenance, every 30k will ensure optimal performance of your German car. Our goal at Ryan GMW is to ensure that your car is working as it should and if anything is needed, our customers know exactly what is wrong. 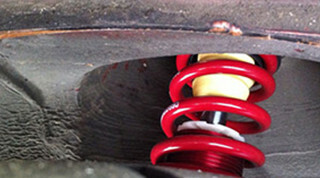 Our services include inspections of the major systems including the engine, cooling system, brakes, and transmission. When it comes to BMW repair in Roseville, Ryan GMW has you covered. If you suspect something is wrong, like you hear weird sounds or your car isn’t running the way it usually does, we are here to help. Our skilled technicians can handle any problem you may be having from engine noises to a leaky exhaust. Have a warning light on the dash? We can help with that too. Bring your car by for a diagnostic test to determine the issue. Our primary focus and top priority is always the customer. The customer reviews we have received to date prove that we are getting things right: Google, Yelp, and RepairPal all serve us with five-star ratings. We strive to deliver 5-star service to every customer and every job we do. To gain full confidence in the quality of our services, please feel free to read through the testimonials page on our website. We will never make a recommendation for a particular service should your vehicle not require it, and we always strive to ensure that you fully understand what we are going to do and why it is necessary prior to undertaking the work. With Ryan GMW, you will get the best service for your BMW, and no unnecessary repairs or a surprise bill at the end. 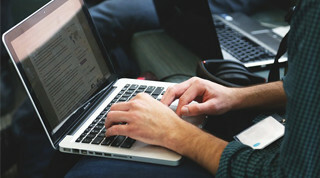 We will discuss any service we do beforehand and will only proceed when we have your consent. Should you require a routine maintenance check, you can easily book an appointment on our website. Simply select the necessary service by choosing from vehicle inspections, brake servicing, or oil change. Next, a calendar will appear whereby you may want a date and time most convenient to yourself. 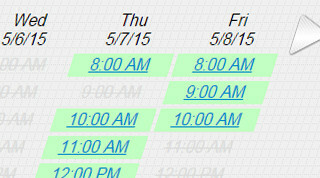 If you are unable to choose a particular time slot just give us a quick call. By scheduling through our website, you will be privy to one of our limited-time discounts which will automatically be applied to your service. After which, you can enjoy the benefits of a free vehicle inspection. Although most scheduled routine maintenance jobs take around an hour, we will be happy to provide an estimate on the waiting time for a more extensive service. Almost all work, whether it is simple or more complex, can be carried out within our shop premises. Our waiting area is comfortably furnished with a beverage center, coffee and water dispensers, as well as a flat-screen TV. You can also enjoy FREE Wi-Fi while you wait. Our automotive shop is located within an easy walking distance of many food and coffee outlets. Or, if you prefer, we will be happy to drop you off with our FREE customer transportation service either at your home or workplace, providing it’s within a 15-mile radius of our shop.